Having hit all 50 states this past year, we have most definitely explore lots of our country as well. Well, Colorado is one of those places I can visit again and again. And again. It’s incredible with so much diverse landscape and a total dream to photograph in. 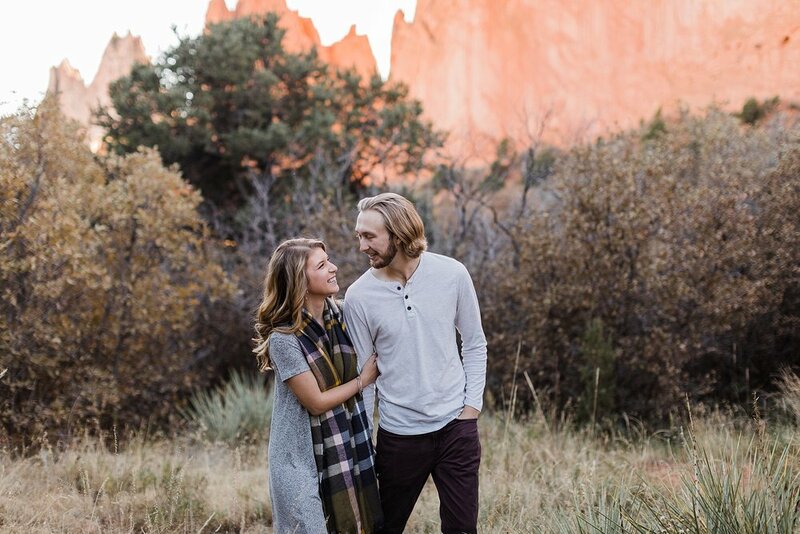 I was SO happy it worked out to photograph Sierra and Charlie’s engagement there this past fall! 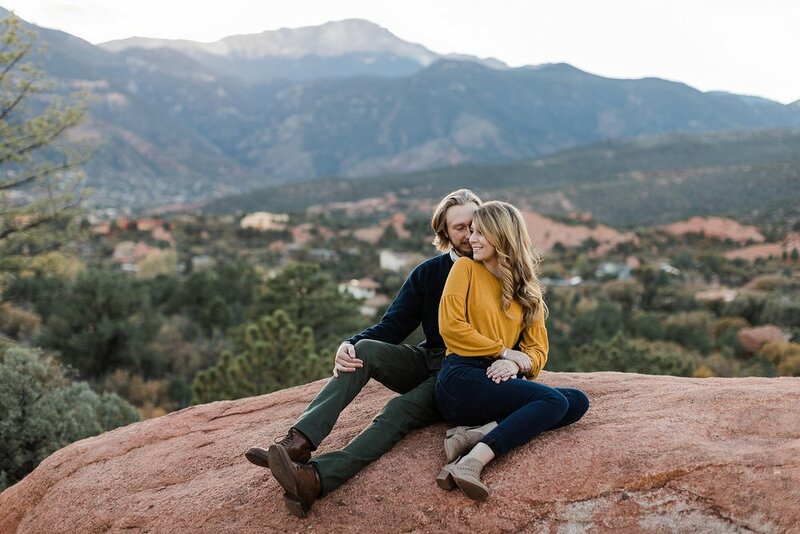 Their wedding will be back here in Michigan, but capturing them in Colorado, where they currently reside, was an easy “yes, let’s make this happen.” We’ve photographed in that state numerous times and each time every session becomes an easy, easy favorite. 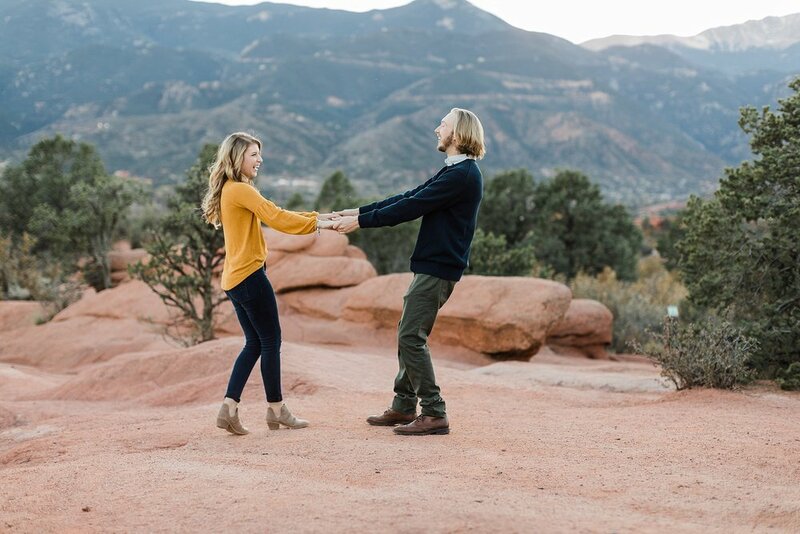 We had perfect weather, and of course perfect locations. 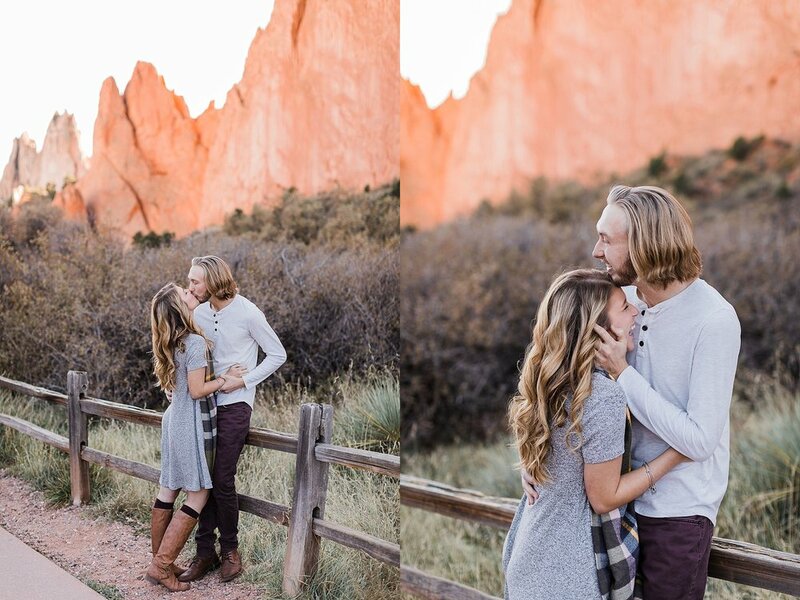 It was our first time to visit the Garden of the Gods park and while we were there in Colorado, it quickly became a favorite of ours to explore and I think we were there every single night. 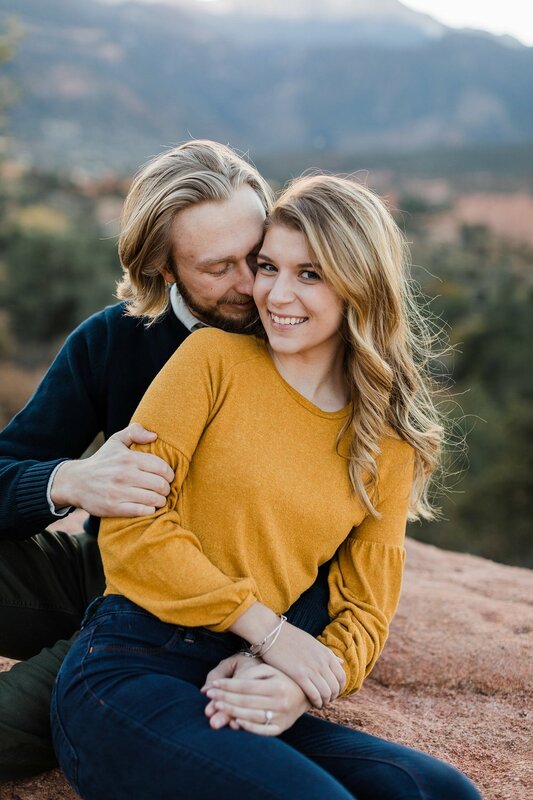 I’m so beyond happy that we photographed our session there! 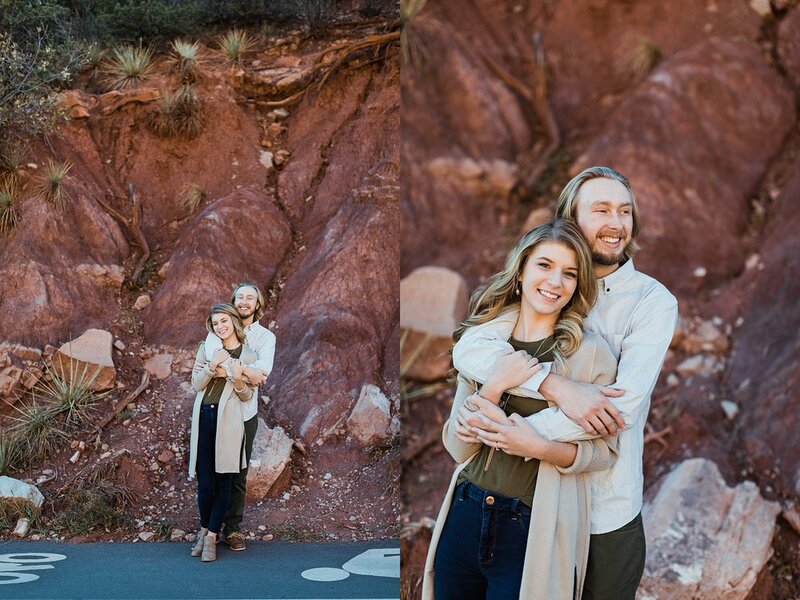 So, here’s a small taste of their engagement session…. Fun fact! The next night we came here to again, just relax and explore, and we were in this same exact location when a couple came up hiking from the trail, just to the right. They said they spotted a momma bear with at least one (I think they said two, but can’t remember specifically) cub and they high-tailed it out of there. Since I had brought my husband and son along on this trip and Hayden was playing on these rocks, we also high-tailed it out of these!